I was appointed by Secretary-General António Guterres to be the Special Representative and Head of the United Nations Regional Centre for Preventive Diplomacy for Central Asia, (UNRCCA) on September 15, 2017. UNRCCA is an interesting assignment. The mission is one of the smallest United Nations Special Political Missions but covers an absolutely enormous territory that bridges Europe and Asia. Together with my staff, I am charged with supporting the Governments of Kazakhstan, Kyrgyzstan, Tajikistan, Turkmenistan, and Uzbekistan in their efforts to jointly face a wide array of challenges that are at the top of the regional agenda. Increasingly, our work also includes Afghanistan. I have to be active on everything from trans-boundary water management to counter-terrorism to encouraging respect for international human rights obligations and promoting the Women, Peace and Security Agenda. This is a very exciting time to be in Central Asia. Since achieving independence from the Soviet Union about 25 years ago, the five countries have each sought to find their own way in the world. Their focus was often building national identities. Sovereignty was new and there was not much of an appetite for regional cooperation. In the past two years, this has all changed for the better. The five countries are increasingly eager to cooperate with one another, high-level visits are taking place more often than ever from one country to another and regional summits are being organized in rapid succession after more than a decade of none. In taking over the leadership of UNRCCA, task number one has been to ensure that the Center is well-positioned to take advantage of these new dynamics and to encourage the five countries to come together in new ways to resolve all sorts of issues that have been outstanding for far too long. One example of my initiatives is to reorient UNRCCA’s efforts in our work on water. Central Asia is home to two of the world’s great rivers – the Amu and the Syr Darya. Decades of over-exploitation, including the irrigation of water-thirsty cotton fields, have reduced the amount of water flowing downstream from high-altitude glaciers in Kyrgyzstan and Tajikistan through Kazakhstan, Uzbekistan, and Turkmenistan to the two rivers’ outlets at the Aral Sea. This has created an ecological and human tragedy that the Secretary-General declared “the biggest ecological catastrophe of our time” when he visited in June 2018. For many years, UNRCCA has worked towards the goal of fostering a regional agreement on trans-boundary water management among the five countries of the region. We have worked to build capacity, collect and share data, and highlight the pressing needs in this area to lay the groundwork for an eventual mutually beneficial agreement that will take into account the needs and interests of all parties and will help bolster peace and security in Central Asia in the long term. At the end of September 2018, I convened an internal working group made up of my staff and a number of international experts to review our work in this area over the years and to devise a new strategy that takes into account recent developments and the current regional dynamics. Once this new strategy is in place, I believe it will position us at the head of international efforts in Central Asia to ensure that water becomes an issue that unites, rather than divides, the region. UNRCCA was the first United Nations entity dedicated to preventive diplomacy – the idea of preventing conflict before it emerges. In many ways, this has been the core of the work of the United Nations since its founding more than 70 years ago. But UNRCCA is the first entity to have this at the center of its entire mandate. When Secretary-General Guterres took office at the beginning of 2017, he put forward a vision of the Organization’s work that prioritizes preventive diplomacy. Conflict prevention does not usually attract as much attention as violence or war and success can be difficult to measure – how can we prove that we really did avert a conflict? UNRCCA is not in the headlines and does not attract the world’s interest like the United Nations efforts in Syria or in Afghanistan, for example. But nevertheless, preventive diplomacy is vital. In his first statement to the Security Council, Secretary-General Guterres laid out his position clearly: “Prevention is not merely a priority, but the priority. 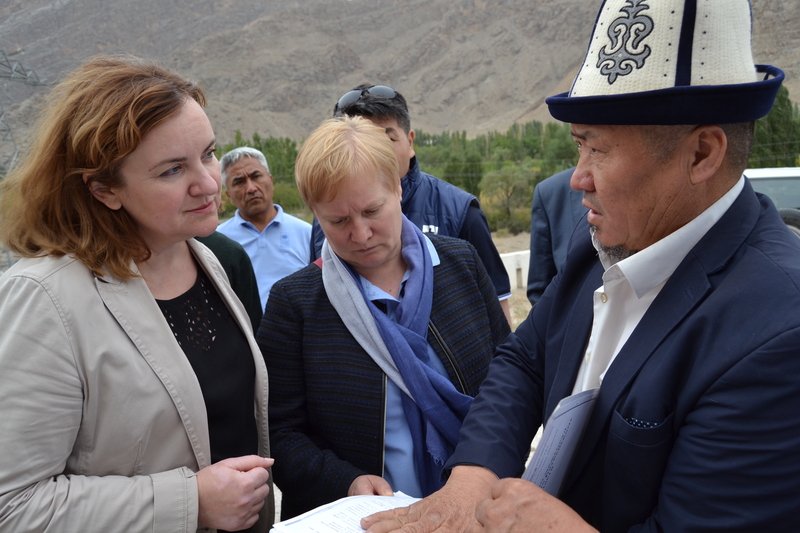 If we live up to our responsibilities, we will save lives, reduce suffering and give hope to millions.” It is my task to take this vision and put it into practice on the ground in Central Asia. I have a number of tools at my disposal. For example, as Special Representative of the Secretary-General for Central Asia, I enjoy access to the leadership of the five countries of the region at the highest levels and I can use this to offer my good offices to liaise or even mediate among key decision-makers. At the other end of the spectrum, my office regularly organizes seminars and training events that build conflict prevention skills among government officials, civil society representatives, and other key stakeholders in the five countries, and increasingly Afghanistan too, at all levels. Among the many tasks before UNRCCA is promoting the Women, Peace and Security Agenda in Central Asia. This agenda stems from the landmark Security Council resolution 1325 from 2000, which was the first time the Council considered the particular ways that war impacts women and the contributions women can make to conflict resolution and peacemaking in their communities and societies. Since 2000, seven more resolutions have been passed by the Security Council that have expanded the agenda. Despite nearly twenty years of international attention and eight Security Council resolutions, however, the number of women engaged in peace processes remains far too low and negotiators continue to ignore women’s security and peacebuilding needs when they are hammering out agreements. Encouraging the potential of women to prevent conflict and sustain peace. As a woman and a former leader in a post-conflict country, the Republic of Moldova, the Women, Peace and Security Agenda has a special significance for me. 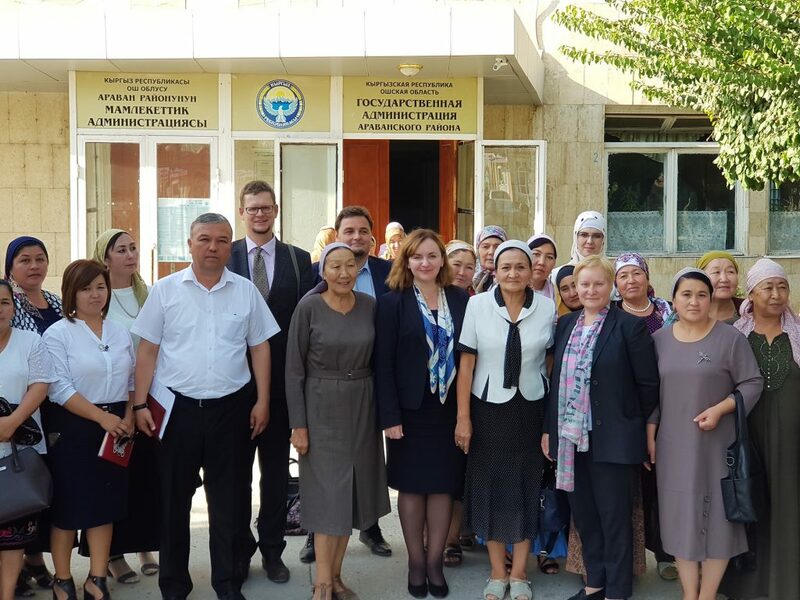 As I travel throughout Central Asia and meet with the region’s leaders, I am keen to encourage them to take women’s needs seriously and also to take advantage of the skills and unique advantages women often possess. Women, after all, make up half of any country’s population and the persistence of gender inequality will always mean that a society is simply unable to achieve its full potential. I also regularly meet with women Members of Parliament, civil society leaders, and others. I encourage them with my own stories from my own experiences and I stress how critical it is that they have the opportunities to contribute to their societies in any way they see fit. UNRCCA makes a point of ensuring women are well-represented at our seminars and training events, as well as ensure that they have equal opportunity to benefit from our capacity-building efforts. Sometimes this can be a challenge, for example in our work on counter-terrorism that often involves male-dominated security agencies. But we must do what we can to put our own words into action. Ambassador Natalia Gherman is the Special Representative of the UN Secretary-General for Central Asia and Head of the UN Regional Center for Preventive Diplomacy for Central Asia. She brings to the position 25 years of experience in diplomacy and international affairs having held various high-level government positions. 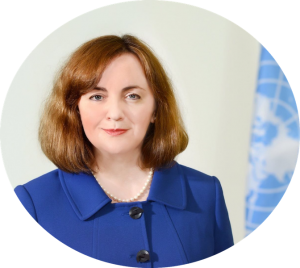 Most recently, from 2013 until 2016, Ambassador Gherman served as the Minister of Foreign Affairs and European Integration of Moldova during which time she also served as the Deputy Prime Minister and as the Acting Minister in 2015. Prior to this, she was Deputy Minister for Foreign Affairs and European Integration from 2009 to 2013 while also serving as Chief Negotiator on behalf of the Republic of Moldova for the Association Agreement and Deep and Comprehensive Free Trade Area with the European Union. Earlier in her career, Ambassador Gherman served as Ambassador to Sweden, Norway, and Finland (2006-2009), Austria and Permanent Representative to the UN Agencies in Vienna and to the Organization for Security and Co-operation in Europe (2002-2006), and Deputy Head of the Mission of Moldova in Brussels (2001-2002). Ambassador Gherman holds a Bachelors of Arts from the State University of the Republic of Moldova and Masters of Arts in War Studies from King’s College, University of London and speaks Romanian, English, Russian, French, and German. No Replies to "Building and Bridging Central Asia"